WhatsApp is one of the most popular and most used messaging services on the earth, and it’s looking like the Android client is about to pick up an official dark mode. Thanks to the latest beta update, we’re getting an early first look. Hidden under the surface in the latest beta update for WhatsApp for Android is a toggle for dark mode. 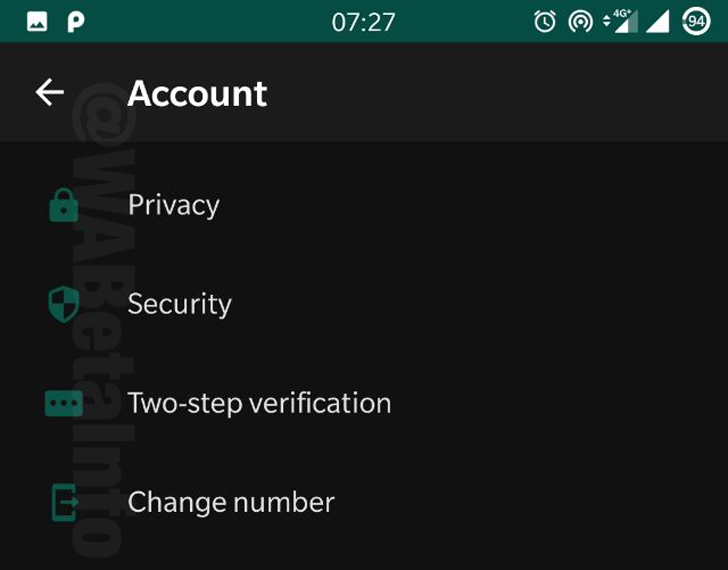 This was uncovered by the folks over at WhatsApp Beta Info who note that the feature is not available yet for users. Rather, the toggle had to be manually enabled behind the scenes. 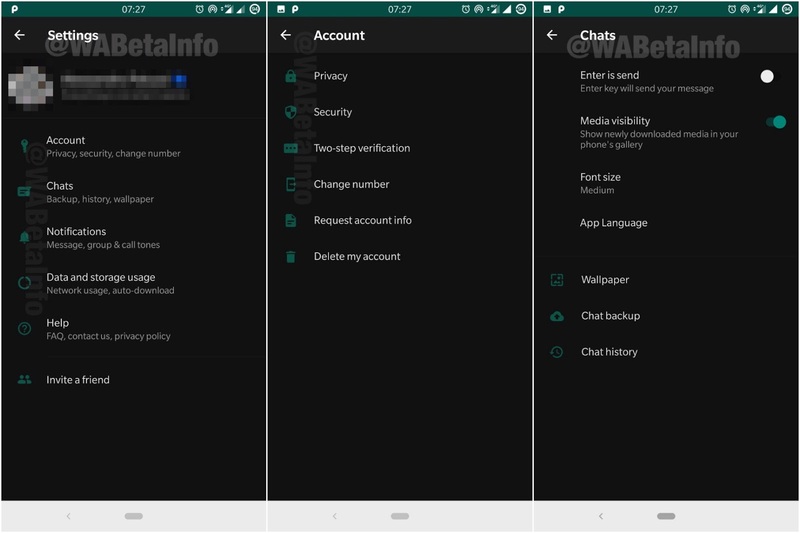 Still, this first look shows us what to expect from dark mode in WhatsApp for Android. Just like Google’s apps, this isn’t a full black mode, but rather using a dark grey color. Still, it will save battery life on OLED displays and be a bit easier to look at in dark rooms, the color of the dark mode is #111111 in hex code. The included screenshots don’t show off the messaging UI with dark mode enabled, but do show several settings pages with the revised color scheme. Presumably, the dark mode for WhatsApp on Android will look fairly similar to the iOS counterpart. 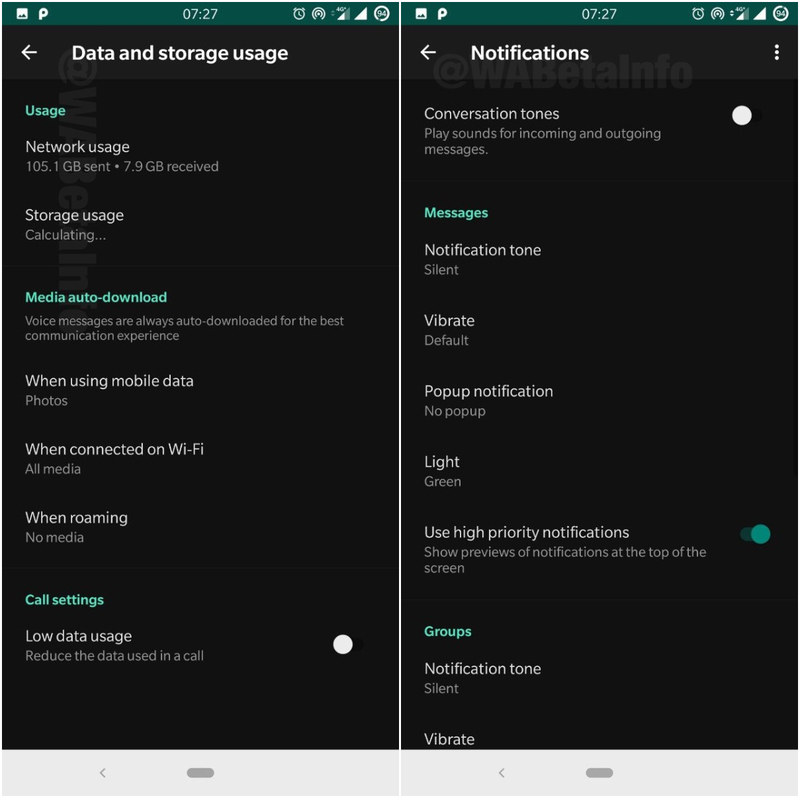 It’s still largely unclear when dark mode will be enabled or if it will follow any of Android’s built-in toggles for the functionality, though.